Discover the ancient history and traditions of one of Scotland's most celebrated clans - the Macleods - with a three day tour from Inverness to the Isle of Lewis, Isle of Harris and Isle of Skye. Descended from the Norse Kings of the Man, there are two main clan branches - the Macleods of Lewis and the Macleods of Dunvegan and Harris. Over the three days we explore the ancient lands of the clan Macleod in the Outer Hebrides and the Isle of Skye. Day 1 - An early start from Inverness to the coastal village of Ullapool where we board the ferry for a 2½ hour journey across the Minch to the Isle of Lewis in the Outer Hebrides. 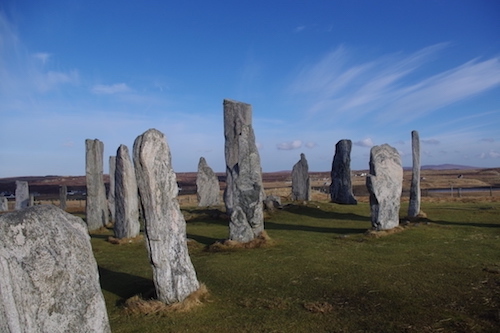 From there we spend the afternoon exploring the ancient lands of the Macleods of Lewis including the magnificent Neolithic Callanish Standing Stones, the 2000 year old Dun Carloway Broch and a traditional Hebridean blackhouse. We finish the day at the beautiful Atlantic coastal beach of Dalbeg before our return to Stornoway (my native town) for our overnight stay. Day 2 - Departing from Stornoway we head south to the Isle of Harris. The drive along the Atlantic coastline of Harris includes the stunning beach at Luskentyre. 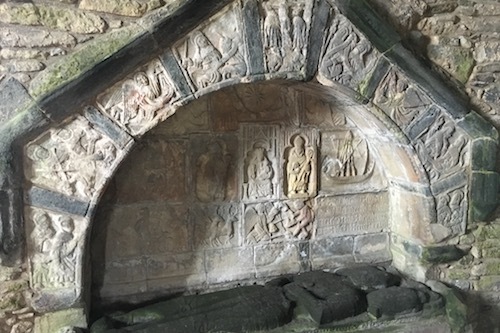 We visit Rodel to explore the beautiful medieval St Clement’s church, home to one of Scotland's most remarkable 16th century tombs - Alasdair Crotach Macleod, 8th chief of the Macleods of Dunvegan and Harris. The late afternoon takes us back to Tarbert (home of Harris Tweed and Isle of Harris distillery) for a 1¾ hour ferry journey across to the Isle of Skye. Arriving in Uig it is just a short drive to Portree for our overnight stay. 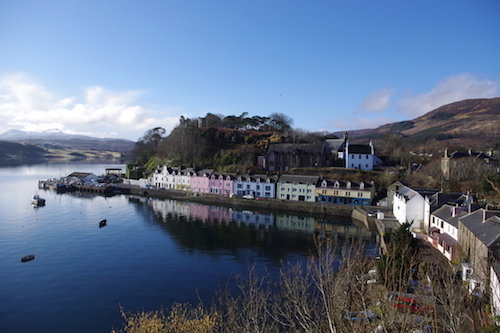 Day 3 - Departing from Portree we have a day discovering the dramatic history of the Clan Macleod on the Isle of Skye with a visit to the magnificent Dunvegan Castle, spiritual and ancestral home of the Clan MacLeod of Dunvegan and Harris. 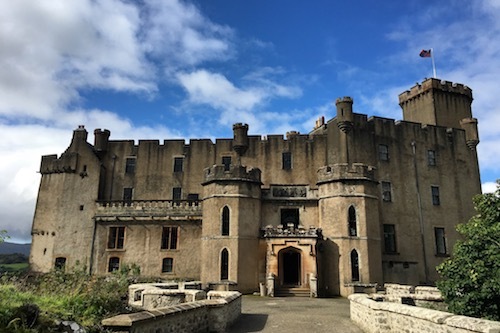 As well as being the oldest continually inhabited castle in Scotland, Dunvegan also has wonderful gardens to explore. 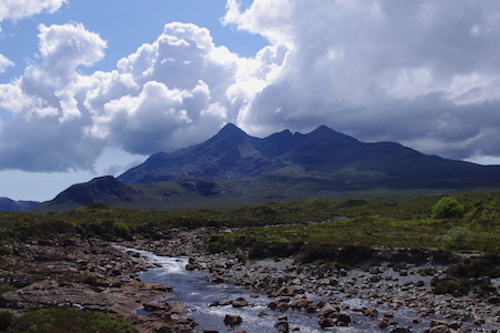 Leaving Dunvegan we head south to enjoy the stunning views of the Black Cuillin mountain range in ancient Macleod lands before our return to Inverness. The tour is available on Tuesday or Thursday start days from Inverness. We recommend that you book accommodation in Stornoway (Day 1) and Portree (Day 2) to make the most of your trip. Whilst we do not book accommodation for you we are happy to help with advice on where to stay and eat in Stornoway and Portree.